Beauty shopping as we know it is set to change forever thanks to Debenhams Beauty Club - whether you are new to the world of beauty or a seasoned pro with more lipsticks and blushes than you care to count there truly is something for everyone with Debenhams Beauty Card. From tutorials, expert guides and the inside scoop on the latest launches, this is the breakthrough in loyalty programme we've all been waiting for. As a sneak peek of things to come to all members, this video with Alesha Dixon offers answers and solutions to some of the most common beauty dilemmas. 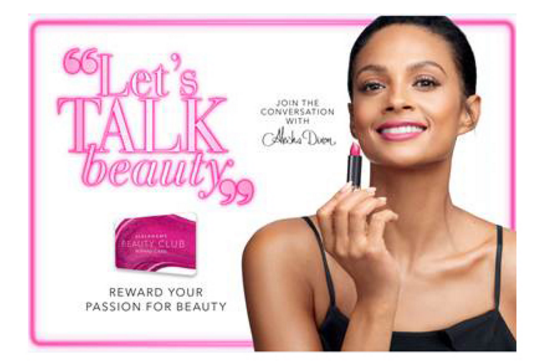 Along with a new face (the beautiful Alesha Dixon - who will be sharing all her top tips and beauty tricks exclusively to members), the reward scheme is about to become bigger and better. 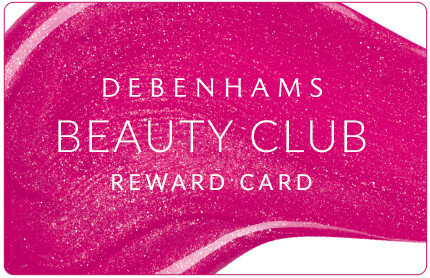 As you may be aware, the Debenhams Beauty Card allows you to collect and redeem points (2 points for every £1 you spend), each time you purchase a beauty product from over 200 beauty and fragrance brands. 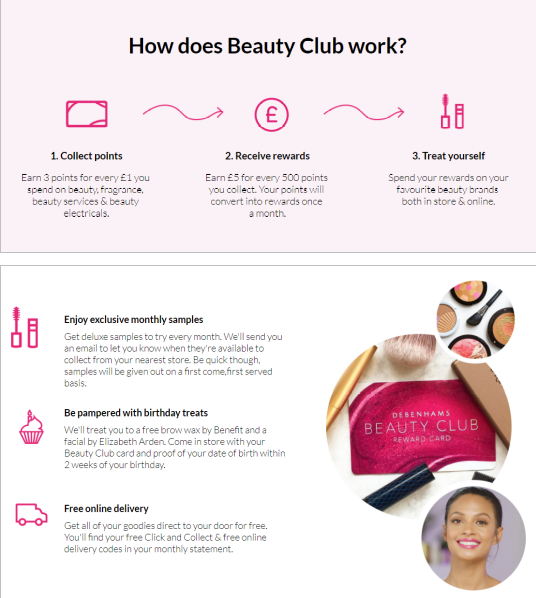 However the new and improved Debenhams Beauty Card will now include monthly sampling; as a member you will be able to collect exclusive free samples in store with no purchase necessary, as well as being rewarded with extended loyalty points and reward validity periods from time to time. There is also a wonderful birthday treat for each member in the shape of a free Benefit Brow Wax and Elizabeth Arden Facial - suddenly turning a year older doesn't seem such a bad thing does it? I've been a long time member of the Debenhams Beauty Club and can't begin to tell you how often I use my card: from quickly popping in after work to re-stock on my favourite foundation, lip liner and perfume time to time, to treating myself online come pay day, or of course using it to buy others gifts (Christmas is just around the corner). It is amazing how quickly those points rack up and with Debenhams being the exclusive home of many beauty brands (hello Kat Von D! ), it would be foolish not to sign up for the free service. There is no time like the present to join (or dust off your existing card) the Debenhams Beauty Card - currently you will receive £10 of points if you spend £50 on fragrance. Please don't forget to share your beauty purchases and looks on social media by tagging (and following) @debenhamsbeauty and grab your own Debenhams Beauty Card here or in-store today.